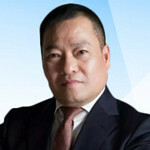 Mr. Huang is Co-Founder of the Company and has served as the Chief Executive Officer and Chairman of the Board since inception. Mr. Huang has extensive experience in the manufacturing industry and was President of two companies before Zhengkang was founded. He earned his EMBA from Renmin University of China and Engineering Professional Title, and was awarded as Top10 Wenzhou Entrepreneurship and appointed to be the Vice Director of China Construction and Building Standard and Safety Committee. He is also a member of National Pipe Standard Committee and National Building Water Supply and Waste Standard Committee. Mr. Huang is an experienced corporate strategist and visionary with decades of experience in corporate management and innovation. He has a systematic ideology on the future of stainless steel pipe in the water and gas supply industry. Ms. Yang has more than 10 years experience in accounting and financial management. Prior to joining the company, she worked as the CFO at Kaidishi Industrial from 2009 to 2016, a company focuses on developing and manufacturing electrical lock and biometric fingerprint scanner, where she oversaw the day-to-day operations of accounting department. She worked as CFO at Weiduli Valve from 2002 to 2009, a company manufacturing valve and piping products. Throughout her career in accounting and management, she has acquired extensive experience in manufacturing industry having held executive positions in several media to large enterprises. Ms. Yang received her Bachelor degree in business administration from China Computer Science College with the major in Accounting. Prior to joining the company at 2017, Mr. Chen served as the Senior Associate at Pacific Seaboard Investment, a corporate advisory firm based in Canada that focuses on guiding clients through IPO, M&A and private placement investments, for two years. His position focuses on leading the team to conduct industry research, due diligence, financial consulting, and preparing regulatory reporting. From 2012 to 2014 he worked as the accounting manager in Azizmalco, a property management company in Canada, where he oversaw the accounting department of Azizmalco’s subsidiaries. He received his Bachelor degree in Commerce from Lakehead University with the major in Accounting. 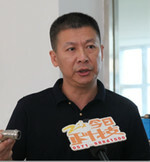 Mr. Wang is Co-Founder of the Company. Prior to co-founding our subsidiary Wenzhou Zhengfeng in 1999, he was the head of research department in Wenzhou Shuangling Stainless Steel Co., Ltd. Mr. Wang has extensive experience in the stainless steel industry and business administration, and is currently in charge of Company’s technical research, production, and exporting. Mr. Wang obtained an EMBA degree from Renmin University of China and is a member of National Building Water Supply and Drainage Committee, as well as that of Wenzhou Building Material Industry Association. Mr. Wang was appointed as a Director for his industry expertise. 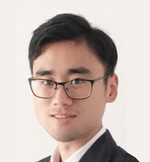 Mr. Ni is currently serving as the partner of CAN Partners LLP, a public accounting firm with offices in both Canada and China since 2013, and as the director of Bluehill CPA, an accounting advisory firm based in China since 2011. His focus of the two positions are to provide auditing and financial services to both private and public companies, and assist companies going public to improve internal control and compliances to meet regulatory requirements. Prior to his current positions, he worked as senior auditing manager at MNP LLP from 2008 to 2011 and Duffy & Associates in Toronto from 2006 to 2008, where he focused on financial auditing, internal control assessment, financial consulting and SEC filings review. Mr. Ni has extensive experience in both US GAAP and IFRS reporting frameworks, Sarbanes-Oxley compliance, and regulatory compliances. Mr. Ni was designated with CA, CPA in Canada and CPA in Illinois, US and he received his MBA from Toronto University – Rotman Business School. Based on his education and employment background, we have selected Mr. Ni as a director and chairman of the Audit Committee. Mr. Cao is currently the Deputy Secretary General of National Water Supply & Sewerage Standard Committee, a regulatory body setting standard to water supply & sewerage industry, and Director of China Construction Metal Structure Association - Water Supply & Sewerage Division, a national trade association representing the technology and products of Chinese water supply & sewerage industry. Mr. Cao works closely with the government to oversee the water supply and sewerage industry, review and draft industrial technical standard, promote new materials and technology, organize anti-dumping and anti-trust investigation, and organize international communication conferences for the industry. His current and previous positions have provided him with a perspective and understanding on Chinese piping industry, and his management experience offered him a broad leadership and executive experience. Ms. Zhou is currently the General Manager of Zhejiang Bestware, a marketing and consulting company based in Hong Kong since 2016, where she focuses on guiding clients to expand their business to international markets, including America and the European Union. Prior to her current position, she was the General Manager of 121 E-Commerce, a children’s fashion company, from 2013 to 2016 where she oversees the operations, branding, and supply chain of the company. 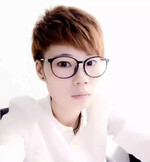 Ms. Zhou possesses outstanding experience in marketing, business development and operations. We expect her joining to our board will improve our company’s branding and marketing performance and introduce our products to more foreign markets. We believe Ms. Zhou qualifies to be our director because of her experience with business operation.